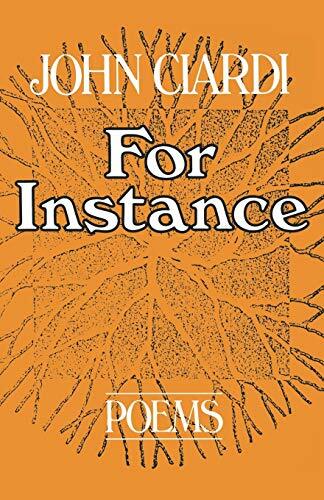 <p><strong>Just as Ciardi has never joined a group, so he has never asked that his poems be approved&#x2015;they are simply there, written as they demanded to be written from inside their own experience of themselves. They are there&#x2015;and they will not go away.</strong></p> John Ciardi published his first poem in <em>Poetry</em> magazine in 1939. The forty year since have been fruitful ones. His translation of<em>The Divine Comedy</em> is the definitive American rendering. His <em>How Does a Poem Mean?</em>, now in a new edition with revisions by Miller Williams, has introduced hundreds of thousands of students to the liveliness of poetry. Above all, John Ciardi is a poet and one of the voices of our literature. This is his fourteenth volume of poems. It demonstrates again that there is a body of poetry specific to his voice, eye, and manner.